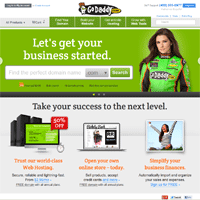 I just got my domain through Go Daddy last night and signed up for their free trial of hosting. They are really good. Thanks.